This website is owned and controlled by West End Medical Practice. The confidentiality and privacy of your information is important to us and any personal information you give us will only be used in accordance with the requirements of the Data Protection Act 1998 and the NHS Confidentiality Code of Practice. If you provide personal information in order to use one of our services on this website, it will only be used for the purposes stated on the page. It will not be shared with any third party without your consent unless required by law.The ‘data controller’ (Practice Manager) is responsible for your personal infomation, and can be contacted at the Practice either in writing or via phone on 0131 225 5220. The information contained in this website is for general information purposes only. The information is provided by West End Medical Practice and whilst we endeavour to keep the information up-to-date and correct, we make no representations or warranties of any kind, express or implied, about the completeness, accuracy, reliability, suitability or availability with respect to the website or the information, products, services, or related graphics contained on the website for any purpose. Through this website you are able to link to other websites which are not under the control of West End Medical Practice. We have no control over the nature, content and availability of those sites. The inclusion of any links does not necessarily imply a recommendation or endorse the views expressed within them. 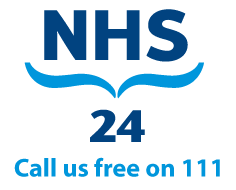 If you have a complaint or concern about the service you have received from the doctors or any of the staff working in this Practice please let us know. We operate a Practice Complaints Procedure as part of the NHS system for dealing with complaints. This system meets national criteria. Written complaints should be addressed to the Senior Partner or to the Practice Manager. The Practice complies with the Access to Medical Records Act and the Freedom of Information Act. Every effort is made to keep the website up and running smoothly. However, West End Medical Practice takes no responsibility for, and will not be liable for, the website being temporarily unavailable due to technical issues beyond our control.